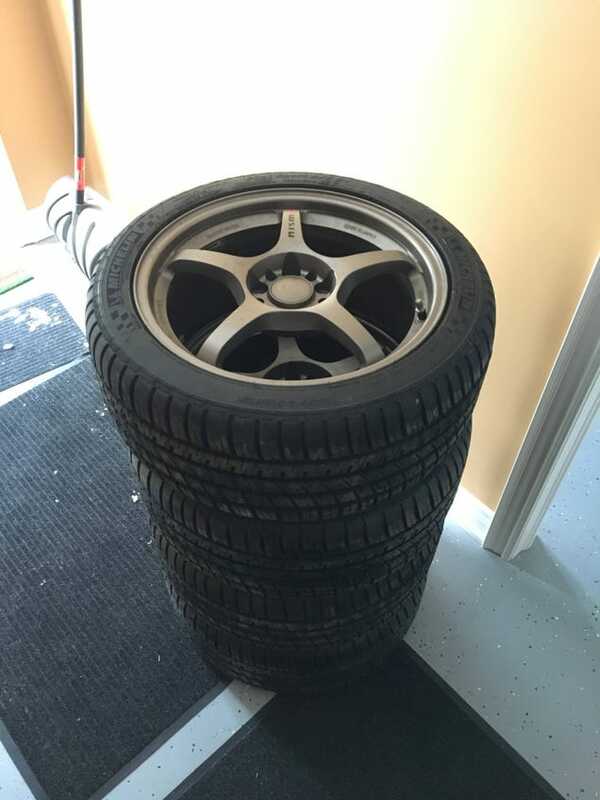 18 x 8.5 Rays 57F with 255/40R18 Michelin Pilot Sport A/S3s. Yes, those are real Nismo logos. As I understand it, Rays had done a production run of these for a Nismo Altima SE-R that Nissan ultimately did not produce. The wheels got sold off to retailers and these ended up on Kijiji for me to buy. I may keep the stickers for some subtle trolling. The temptation to install them now is strong but I’m sure winter will have a last word in the next couple of weeks so I’ll hold off for now.